Allen Harry (Al) Schoen passed away on March 8 at his home in Kissimmee, Florida, just shy of his 82nd birthday. Schoen was born in Yonkers, New York, on March 10, 1936 and earned a Bachelor of Science in Aeronautical Engineering from MIT in 1958. His first job was at Douglas Aircraft in California. Schoen joined Boeing Helicopters in January 1966, working in various technology and product development management positions. 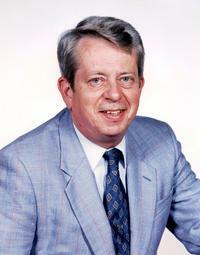 He was appointed JVX (V-22) Technology Manager in 1982, and was named the Boeing Director of Technology in 1984. He became the Deputy Technical Director for the V-22 Joint Program Office in 1986. In 1989, Schoen was appointed as the Boeing Helicopters Division director of preliminary design, where he was responsible for the technical development of future products. In April 1995, he became the Director of Mobility/Maneuver Concepts for the Boeing Defense and Space Group business development organization, and also the Director of Developmental Programs for the Helicopter Division. Schoen had a vision for a future family of tiltrotors. Schoen retired from Boeing in 1998. For his career devoted to the advancement of vertical and/or short takeoff and landing (V/STOL) aircraft development, he was awarded the AHS Paul E. Haueter Award in 1999, given for “significant contributions to the development of vertical takeoff and landing aircraft other than helicopters.” In addition to his efforts on the Bell Boeing V-22 Osprey program, he also helped launch the Bell Boeing 609 (as it originally was called when started), and co-authored a patent on a V/STOL turbofan vectored thrust V/STOL transport aircraft concept. Schoen joined AHS in 1973 and was named an AHS Honorary Fellow in 1993 (along with Banerjee); he served on the AHS Board of Directors 1986–1989, first as a Regional Vice-President and then a Director-at-Large. He was an Associate Fellow of the American Institute of Aeronautics and Astronautics (AIAA) and served on several advisory boards for the National Aeronautics and Space Administration (NASA). He co-authored a Forum paper (Forum 43 in 1987) on the V-22 development program and a Vertiflite article (1989) on the V-22 enabling technologies.